Cove condos are home tracts in the Woodbridge Village in the city of Irvine comprised of 400 attached homes built by JP Peters Home in the late 1980's. Woodbridge Cove is a gated community located north and off of Barranca Parkway and Beechwood by the lakeside on North Lake lagoon. Depending on home locations homes have great lakeside view of the lake. Homes offer four floor plans featuring 2 to 3 bedrooms ranging from 1,923 Square Feet to 2,287 Square Feet. 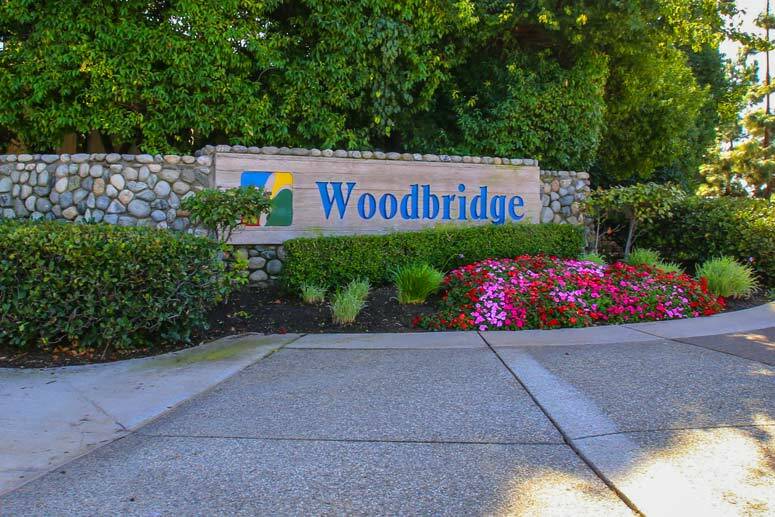 Woodbridge Cove amenities are abundant and include tennis courts, green parks, club house, association pools and spas. Residences can enjoy the use of both north and south Lagoons and club houses. They are great fun for all season for the families. The Woodbridge Village Master Association is managed by Woodbridge Village Master Association located at 31 Creek Road Irvine California. Their contact number is 949-786-1800. Sub-association is Woodbridge Cove Association managed by Western Property Management located at 23282 Mill Creek Drive, Suite 320 Laguna Hills California 92653. They can be reached at 949-334-6025. Schools are located in the award wining Irvine Unified School District. Schools are Eastshore Elementary School, Lakeside Middle School and Woodbridge High School. Please, have a look around, and contact us with any questions you might have about buying and leasing in Woodbridge Village. No question is too mundane - we want to help! The Chatham Plan - 2 Bedrooms, 2.5 Baths, 1,923 square feet of living space with two car garage. The Revere Plan- 3 Bedrooms, 2.5 Baths, 2,077 square feet of living space and two car garage. The Westfield Plan - 3 Bedrooms, 2.5 Baths, 2,050 square feet of living space and two car garage. The Seaborne Plan - 3 bedrooms, 2.5 Baths, 2,287 square feet of living space and two car garage.